Sam is more than just your normal Personal Trainer that you often find working in the health & fitness industry throughout Melbourne. Sam has an extremely thorough academic background that goes above and beyond the usual personal trainers qualifications. Sam is a university qualified physiologist who specialises in Exercise Rehabilatation and Special Population. Sam’s wealth of knowledge allows him to deliver individualised client programs that get RESULTS! Sam provides mobile personal training throughout Pascoe Vale, Coburg, Essendon, Strathmore, Ascot Vale, Moreland and the surrounding North Western Suburbs. Homes, Local Park, gyms, backyards. Workplace; wherever you feel comfortable carrying out your training. 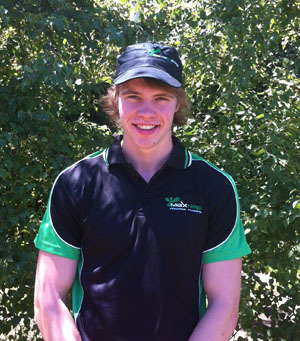 My name is Sam Jones and I am a student at Victoria University where I undertake Clinical Exercise Science. I have completed my 3 year undergraduate Exercise Science degree and am set to complete my 1 year post graduate degree in a Graduate Diploma in Clinical Exercise Practice. Part of my undergraduate degree was to train healthy to borderline diabetics in a specialised clinic located at Victoria University in Footscray. I have also had previous experience working in a gym setting where I trained my own personal training clients as well as members of the gym. Fitness is my passion, I love helping people achieve their goals and improving their quality of life through a variety of forms of exercise. I pride myself in my own work to ensure that the clients are satisfied with what I provide them. I put 100% effort into each session and if you do too then we will succeed in achieving your goals together. Essendon, Pascoe Vale, Ascot Vale, Moonee Ponds, Coburg, Brunswick, Oak Park, Keilor, and the Moreland area. Below are a handful of the reviews from past and present clients of Sam Jones. After major hip surgery I was unable to undertake strenuous exercise. Once my physio gave me the all clear to do moderate and restricted exercise I contacted MaxNRG. I highly recommend Sam and MaxNRG Personal Training. The professionalism and passion for what they do is second to none.